You are in. You are appreciated. You are connected. Saturday, April 22, 5:30 p.m. – 6:30 p.m. Registration is required through B-REx.com. Or call 720-887-2350 to let us know you wish to attend. Record your own story of how you came to Broomfield in an interview modeled after StoryCorps. 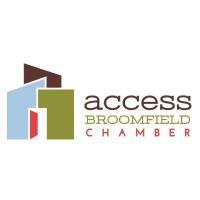 Make appointments by contacting Tara at 720-402-8425 or templeman@broomfield.org. All interviews will take place at 6 Garden Center. It is the roaring 1920s, prohibition is in full swing, and you have been bootlegging spirits. The Station Agent has caught you and reported you to the authorities. You will have 60 minutes to solve puzzles and clues in a specific order to find out what happened to George. Bring your family, friends, co-workers, or anyone you know with excellent observation skills. All ages are welcome, but those under 13 must be accompanied by an adult. Wednesdays, April 17 & 24 at, 5:30 & 6:45 p.m. Check B-REx for other dates, coming soon!